cpsc.govHomelite electric leaf blower vacuum, attachment and bag. More than a million blower vacuums sold at Home Depot (HD) and Walmart (WMT) used to do yard work nationwide were recalled Thursday because of a defect that can cause them to overheat or catch fire, the U.S. Consumer Product Safety Commission said. The blower vacuums, both made by the Changzhou Globe Tools and Cixi City Best Power Tools of China, were sold under the Homelite brand at Home Depot and the Expert Gardener brand at Walmart. The recalls came after consumers reported nearly 1,400 incidents involving the yard tools sparking, smoking or burning. The vast majority of those complaints involved the Homelite models. Anyone who has one of the recalled blower vacuums is urged to stop using it and return it for a refund. The Homelite recall involves 823,000 blower vacuums, while the Expert Gardener recall involves 225,000 units. Federal product safety laws count on companies to report product defects and safety issues to the government. Companies are supposed to issue a recall soon after first learning that a product has an issue that could put consumers in danger. 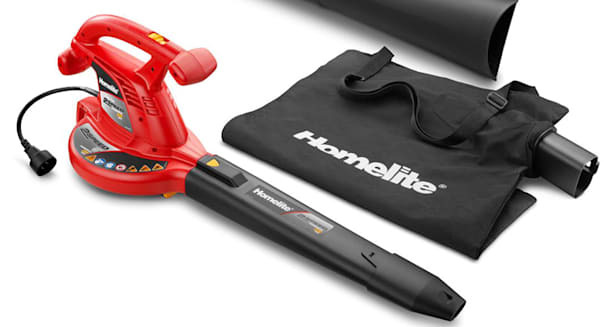 The Homelite recall includes the brand's 12 amp electric blower vacuums with the following model numbers: UT42120, UT42120A and UT42121. The red and black blower vacuums say "Homelite BlowerVac 2 Speed Powerful 220 MPH" on the side and on the tube. They were sold for about $40 at Home Depot stores as well as Direct Tools Factory Outlets between January 2010 and last month. This Expert Gardener recall includes the brand's 12 amp electric blower vacuums with the following model numbers: 20254EG, 20254EGA, 20254EGB, 20254EGBC, 20254EGC and 21254EG. The green and black blower vacuums say "Expert Gardener" and "Blower Vac 2 Speed Quiet 150 MPH Powerful 220 MPH" on the side and on the blower tube. They were sold between January 2012 and last month for about $40. Those with Homelite units can return them to any Home Depot for a refund. Consumers with questions can call Homelite Consumer Products at 800-597-9624 weekdays between 8 a.m. and 5 p.m. Eastern Time. Those with Expert Gardener units can return them to any Walmart store for a full refund. Consumers with questions can call the importer, OWT Industries, at 800-597-9624 weekdays between 8 a.m. and 5 p.m.